Dr. David Cosgrove talks about the latest in cancer research. 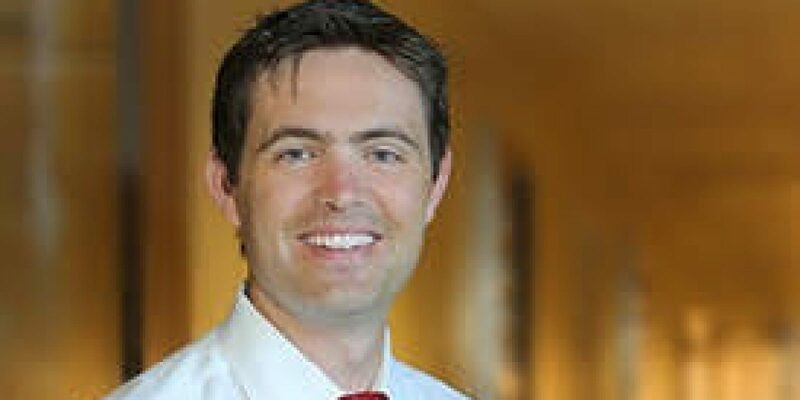 Guest Bio: Dr. Cosgrove is a medical oncologist with Compass Oncology, a practice in The US Oncology Network. He specializes in general adult oncology with advanced subspecialty expertise in breast and gastrointestinal (GI) cancers. He serves on The US Oncology Research Network’s national GI Research Committee and as a principal investigator for many studies. Segment overview: Dr. David Cosgrove, MD, talks about the latest in cancer research. Neal Howard: Hello and welcome to Health Professional Radio. I’m your host Neal Howard, thank you for joining us today. It’s widely understood that cancer is a genetic disease, however there’s evidence that both environmental and lifestyle factors can have a major impact on a person’s risk of developing cancer. Our guest in studio today is Dr. David Cosgrove, a Medical Oncologist with Compass Oncology, a practice in the US Oncology Network. 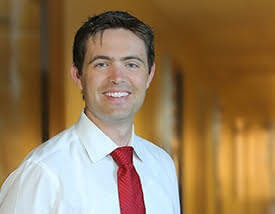 He specializes in general adult oncology with advance sub-specialty expertise in breast and gastrointestinal cancers. Good afternoon Dr. Cosgrove. David Cosgrove: Good afternoon Neal. N: Thank you for joining us today. Cancer research it seems that it’s never going to end, every few years or so we hear these huge breakthroughs in research and treatments. Let’s talk about some of the latest advances in cancer research from your perspective and your research and see where we are as it relates to our future in cancer research. C: Sure, yeah. Well I would absolutely agree that cancer research is a seemingly never ending topic and it’s a series of breakthroughs and a lot of work leading up to that behind the scenes and then a lot of work to kind of strategize and bring those breakthroughs into our communities, deliver to our patients. One of the major areas of interest in cancer research in recent years has been in immuno-therapy or immuno-oncology, trying to harness the inherent part of the body’s immune system to target and eradicate cancer. It’s obviously not a new topic, this has been around for decades but a lot of advances recently and the identification of new ways to manipulate our immune cells to make them re-recognize and re-attack cancer and we’ve seen some very dramatic responses even in advanced cancer cases and most specifically in melanoma and certain lung cancers but even across the board in cancers that have proven difficult to treat in the past. So I think when we look at the clinical trial landscape at the moment, you’ll find a very heavy influence of immuno-therapy across a number of cancer types with very encouraging results. N: So using the body’s own immune system to fight cancer but as that research is developing and becoming even, even more able to be implemented into mainstream treatment, what about our environment, our lifestyle? Things that aren’t necessarily under research, we have to wait for the results. What are the things that we can be doing now that they’re basically in our control to fight cancer or prevent it? C: Yeah. I think that’s the key, right? So I think a lot of the research, a lot of the focus goes on treatment trials and at that point, people have already established cancers and there’s been developing over usually years inside a person’s body. I think it’s much harder to kind of develop the Moon Shot program if you will, focused on prevention because it doesn’t have the same emotional undertone, it doesn’t have the same kind of buy-in at a societal level but it’s clearly much more important and at overall health level to try and prevent rather than try and treat once cancer has become established. N: Aren’t we talking about educating people about preventive measures as early as grade school, shouldn’t that be our focus when it comes to cancer? C: Yeah, absolutely and I think you’ll find that a lot of the preventive measures we talk about in cancer are gonna be applied across the board in health care. It’ll be similar messages from our Cardiologists, from our Endocrine Specialists, the Oncology community because a lot of the themes are very similar in preventing cancer and heart disease and diabetes and other chronic conditions. N: Now you say that these breakthroughs in immuno-therapy run across a wide range of cancers. In your research and in your experience what would you say would be the main cancer that most of the research has been focused on and is that the direction that we should be going in with that specific type of cancer? C: Well I think when we look at immuno-therapies specifically a lot of the research kind of guides us as oncologists to tumors that are likely to respond so that we get that signal first and which is why it can often be what we would consider more unusual cancers. So melanoma has been the poster child for this but that’s because based on laboratory data that’s what we see kind of one of the biggest influences of the immune system and I think the challenge then is to take that headline breakthrough in a small number of tumor types and try and apply that across the board to the broader population but that takes time. That’s where the work comes in in between these big… focuses on a wider variety of tumor types. N: What types of steps are taken to strengthen a person’s immune system as you try to, I guess reprogram the cells in a particular subject? C: So a lot of times it’s adjusting the immune system’s recognition capacity so highlighting that the cancer cell is inherently different to our normal cells and using that difference to let your immune cell take action against it. I think one of the problems is that cancer cells are essentially just are normal cells that very, very subtle changes and mutations and they often escape that immune recognition and allow that cancer to become established. So it’s not like we’re fighting a virus or fighting a bacteria that is inherently different to our human cells, it is a big challenge to try and…out these very, very small differences that will allow their identification of cancer versus normal. N: Now you are an Oncologist with Compass Oncology. Compass Oncology, it’s a practice here in the US Oncology Network. Is this Oncology Network dealing exclusively in immuno-therapy or is there other research being conducted within this organization or this network? C: No, absolutely not. So immuno-therapy is just one piece of our clinical trial network and still a lot of our clinical trials are focused on what would be considered more standard chemotherapy or other targeted therapies looking at these differences in cancer cells from normal cells from a protein perspective and from a drug development perspective. So immune-therapy has garnered a lot of attention recently but it’s certainly by no means the only show in time in terms of how we’re trying to treat this disease. N: Now in wrapping up this segment, I’d like to talk about sun exposure. It is one of the factors when we talk about contributing factors to incidence of cancer. Sun exposure specifically ultraviolet radiation contributes more than, well to more than a million cancer cases a year in the United States. Summer is basically here, what can you offer us in the ways above and beyond just your normal sunscreen that we hear about this time of year and have been for the last 30 years? C: Yeah, I agree it’s one of the kind of unheralded risks I think. People don’t consider it as much of a risk as other things such as smoking but many, many cancers thankfully most of them fairly easy to treat with superficial treatments but there is a subset of sun-related cancers, most typically melanoma that are very, very dangerous and create a huge public health problem. I think the risk for sun exposure and cancer start again early in life and a lot is related to underlying skin type, so those with fairer skin, those of northern European descent, they tend to have a greater risk of developing that melanoma process and it’s those kind of blistering, high intensity sunburn are the biggest risk factor for developing those, though we as oncologists we don’t tell people to avoid the sun all together but we do tell them to be very, very smart about it and try and avoid that sunburn exposure. So wearing a hat, wearing a t-shirt, avoiding middle part of the day for sun exposure and using sunscreen at a very high SPF especially in those with those fairer skin types. N: Alright, some excellent advice. You’ve been listening to Health Professional Radio, I’m your host Neal Howard. We’ve been in studio talking with Dr. David Cosgrove a Medical Oncologist with Compass Oncology, a practice in the US Oncology Network. Doctor Cosgrove’s specializes in general adult oncology with advance subspecialty expertise in breast and gastrointestinal cancers and he’s a strong advocate for bringing leading edge therapies to us patients through clinical trials. And we’ve been in studio this afternoon discussing some of the latest research in cancer focusing a lot on immuno-therapy, using the body’s own immune defenses to combat cancer once it is identified. It’s been wonderful having you here with us today Dr. Cosgrove. C: Great to be here.